MongoDB M102 Final Exam Completed! Problems 1 through 3 are an exercise in running mongod’s, replica sets, and an exercise in testing of replica set rollbacks, which can occur when a former primary rejoins a set after it has previously had a failure. Get the a.sh and a.js files from Download Handout link. Use a.bat instead of a.sh on Windows. You will need to initiate the replica set yourself. Author SherbazPosted on September 9, 2014 February 27, 2015 Categories MongoDBTags Final Exam, M102, MongoDBLeave a comment on MongoDB M102 Final Exam Completed! 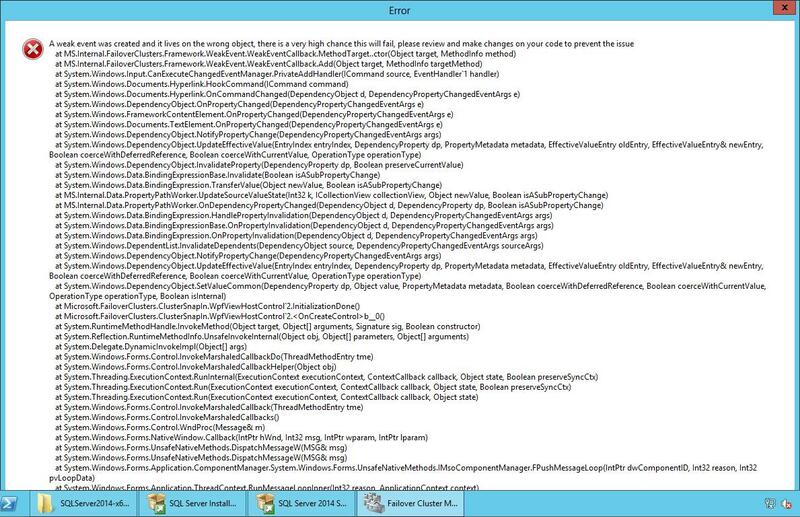 We have heard enough of the new feature in SQL Server 2012 that replaces our conventional Database Mirroring notion. It is the Always-on Availability groups feature. I have carried out several tests setting up Always-on on my virtual data-center in my laptop. One fine day at office, I was assigned a project to build an Always-on availability group in Microsoft Azure. Let’s first go through the prerequisites. Availability group replicas must reside in a single Cloud service. Availability group Listener IP should be same as the public Cloud service IP assigned to each replica. Two endpoints has to be created for the Cloud Service in Azure dashboard. One for the probe port(Through which the Azure Load Balancing services monitors the health of each virtual machine) and one for Always-on Listener port. Probe port should be different from the Listener port. For eg. Give 59999 for Probe port and 1433 for the always-on listener port. 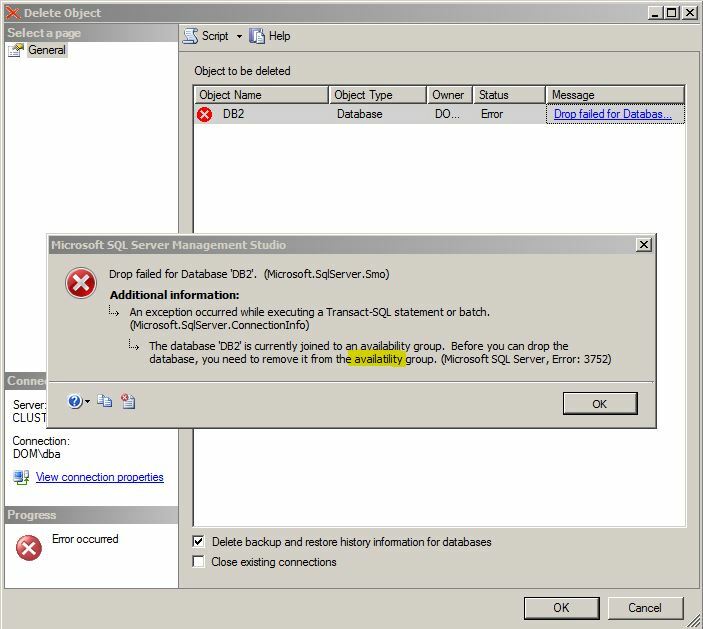 Install the hotfix 2854082 to enable SQL Server Availability Group Listeners on Windows Server 2008 R2 and Windows Server 2012-based Microsoft Azure virtual machines. Each virtual machine in Azure could have only one Ethernet card and one private IP. This limitation stops us from using a private IP for Always-on availability group. Even if we give a private IP for the listener, the IP will not ping or connect over the network. The client application must reside on a different cloud service than the one that contains your availability group VMs. Azure does not support direct server return with client and server in the same cloud service. Only one availability group listener is supported per cloud service because the listener is configured to use the cloud service IP address. I went ahead and started working on it. I asked for 4 virtual servers. There are several ways to configure and start monitoring page splits on SQL Server. But now in 2012, we could make use of extended events to easily track down page splits. If you do not want to go through the session wizard, I am sharing the script with which you could create the session in one go. I am happy to announce the launch of my webApp+androidApp+desktopApp software www.splitexpense.in. It’s a free tool for anyone or friends and roommates to share and split expenses. At the end of the trip, day, week or month, SplitExpense.in would calculate all your expenses and would suggest who owes whom. Subscribe to https://www.facebook.com/splitexpense to know more on the product, receive updates, news and release updates. The url when opened on your smartphone(Android, IOS or Windows), opens as webapp with intuitive interface. Below article on replication was written by my colleague Nideesh K Vasudevan. I would like to thank him for his easy to understand input on this topic. output but a test to also play with subscription property worked!!!!!!!!!! article or only for new article. the articles (new article+old article). comes in, it will get replicated automatically. replicated with this option enabled. snapshot need to be generated for all article or only new article. this link to see about @sync_type option.